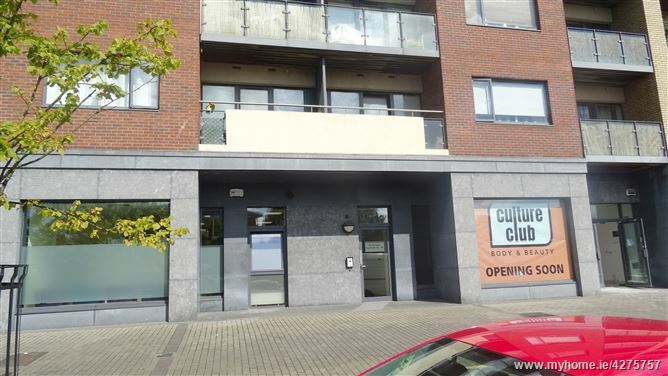 John Ronan from GWD Auctioneers is delighted to bring this bright and spacious 2 bed fourth floor apartment with the added benefit of having a secure designated underground car space to the Dublin 17 market. 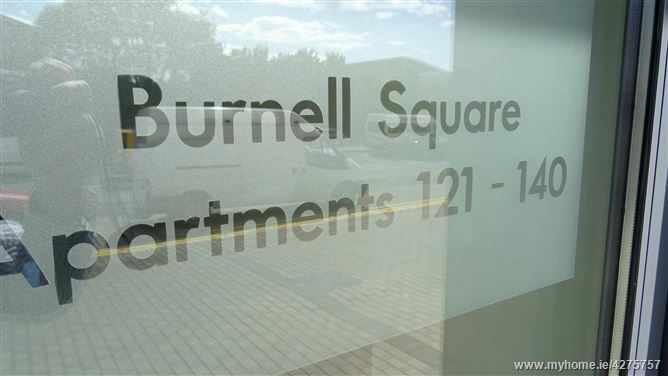 Located in this highly sought after address of Burnell Square, Northern Cross, this fourth floor apartment is in excellent condition throughout and has been lovingly cared for and refurbished by the current owners, and is coming to the market with all fixtures, fittings and furniture included in the sale. 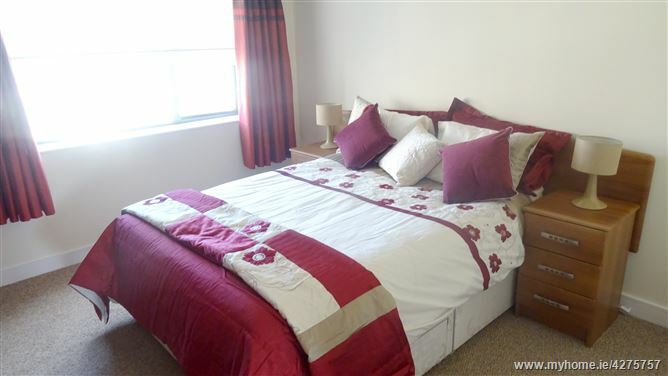 Located in the much sought after area of Northern Cross, minutes walk from numerous bus routes, local amenities all within easy reach, as is Dublin Airport and the city centre, Malahide, Portmarnock and the M50/M1 motorways. 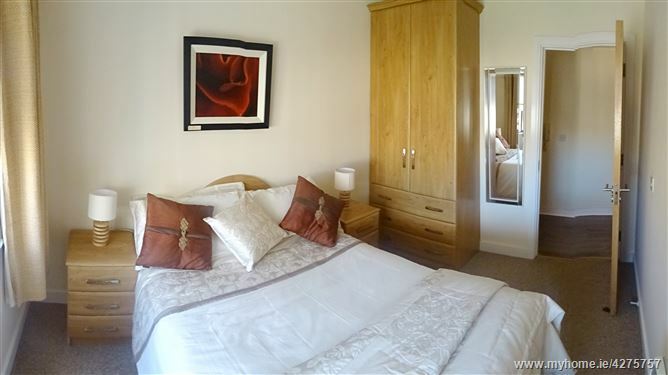 Accommodation comprises of large hallway with wooden floors and large walk in storage area. 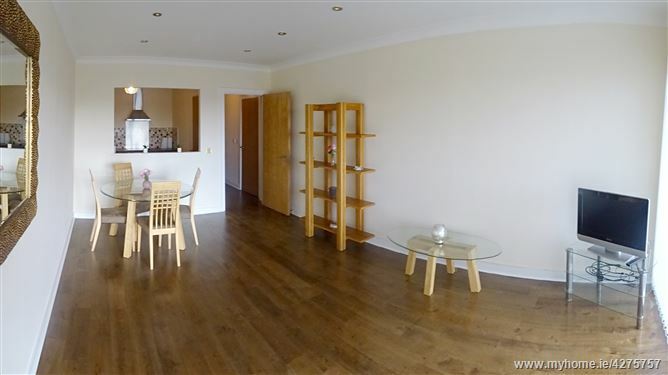 Large open plan lounge with wooden floors and patio door to bright south facing balcony, fully fitted modern kitchen with floor and wall units and ceramic tiles, two large double bedrooms both with built in wardrobes. Bathroom with bath, toilet and sink with ceramic floor and wall tiles. 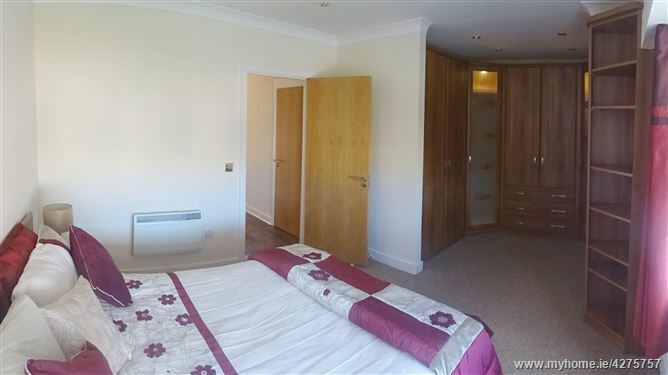 The windows are double glazed aluminium throughout and the heating is storage heating. The occupants of Burnell Square also have the opportunity to make use of the private roof top garden which has beautiful views over Dublin. 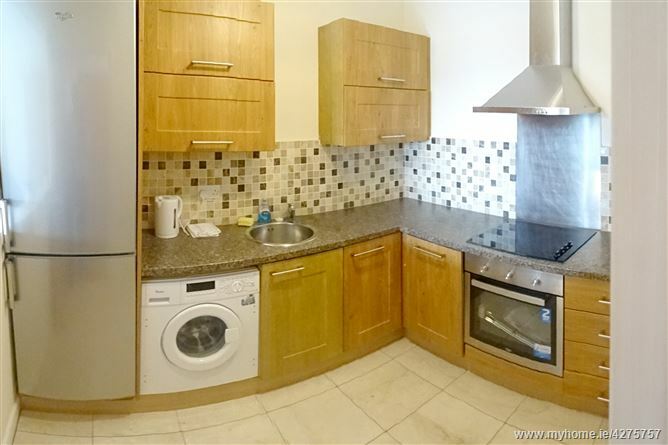 This property would make an excellent home for a first time buyer as it is in turnkey condition. Viewing is highly recommended with GWD Auctioneers. Entrance Hallway: 16'1'' x 3'5'' wooden floors with walk in storage. 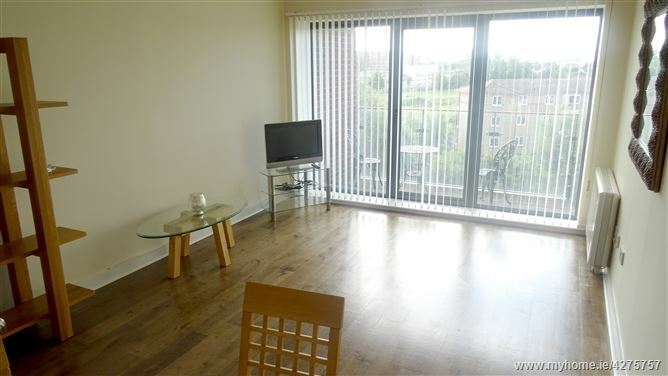 Lounge: 18'7'' x 11'7'' Wooden Floors with patio door to balcony. 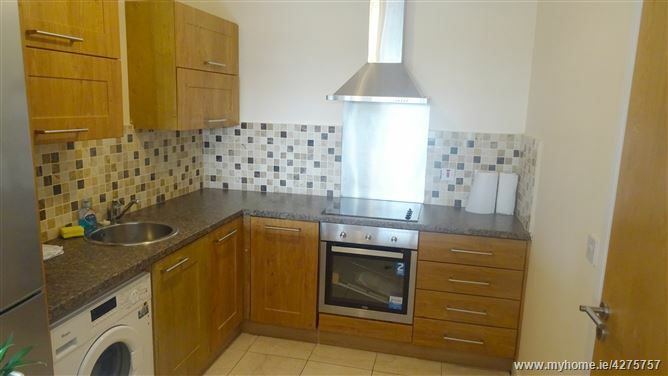 Kitchen: 9'3'' x 7'9'' Fitted floor and wall presses with hob, oven and extractor with ceramic tiles. Bedroom 1: 17'10'' x 10'10'' Carpet with built in wardrobes. 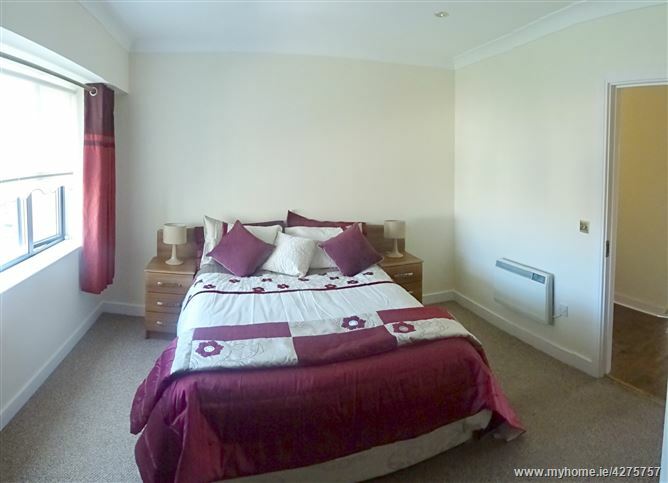 Bedroom 2: 10'11'' x 8'9'' Carpet with built in wardrobes. Bathroom: 7'4'' x 5'8'' Bath, toilet and sink with ceramic floor and wall tiles.